Lawyers for Civil Justice released the report while pushing to establish the first civil rules in multidistrict litigation. 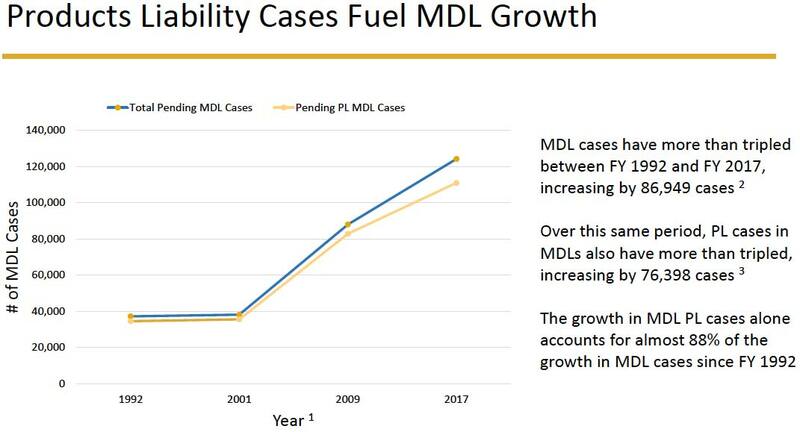 A prominent legal organization released a report on Thursday finding that products liability lawsuits are behind the growth of multidistrict litigation, which many in the defense bar contend needs new rules to fix a host of procedural problems. According to the report by Lawyers for Civil Justice, about 90 percent of all cases in multidistrict litigation for the past 25 years have been in products liability, as opposed to antitrust, patent infringement or other litigation. The Arlington, Virginia-based group based its report on records at U.S. courts and the U.S. Judicial Panel on Multidistrict Litigation through Sept. 30, 2017.